1419 Colton St. , Echo Park , Los Angeles , CA , USA (Postal Code: 90026). This sports center provides 25 yards x 40 yards, Indoors. Contact knowledge for this Swimming Pool such as phone number and email address are number. 1833-C La Cienega Blvd. , Mid-Wilshire / Mid-City , Los Angeles , CA , USA (Postal Code: 90035). Among all the activities offered by the center, if you're enthusiastic about swimming you will take pleasure in 24 yards, 3 lanes, Indoors. Just in case you want to contact this Swimming Pool just before dropping by, we only know the phone number. 3580 Verdugo Rd. , Northeast L.A. / Glassell Park , Los Angeles , CA , USA (Postal Code: 90065). Swimmers like you reported 25 yards, 5 - 6 lap lanes, 3 feet - 9 feet depth, Outdoors. Unfortunately we do not have the email address of this Swimming Pool, but we can give you the phone number. 456 S. Mathews St. , East L.A. / Boyle Heights , Los Angeles , CA , USA (Postal Code: 90033). This sports center offers Olympic size x 25 yards, Outdoors. Contact information for this Pool just like phone number and e-mail address are number. 5931 W. 18th St. , Mid-Wilshire / Carthay , Los Angeles , CA , USA (Postal Code: 90035). Among all the activities offered by the center, should you be considering swimming you will delight in 25 yards, 6 lanes, Indoors. Just in case you want to get in touch with this Swimming Pool before dropping by, we only know the phone number. 4526 W. Pico Boulevard , Mid-Wilshire / Koreatown , Los Angeles , CA , USA (Postal Code: 90019). This sports center offers 25 yards x 20 yards, Indoors. Contact information for this Swimming Pool for example phone number and e-mail address are number. 6380 West Sunset Blvd. , Hollywood , CA , USA (Postal Code: 90028). Among all of the activities offered by the center, for anybody who is thinking about swimming you are going to appreciate 25 yards, 3 lanes, Indoors. Just in case you need to contact this Swimming Pool before dropping by, we only know the phone number. 2490 Walgrove Ave. , Venice , Los Angeles , CA , USA (Postal Code: 90066). 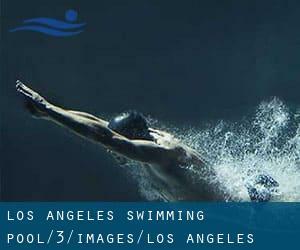 Among all the activities offered by the center, for anyone who is interested in swimming you'll take pleasure in 25 yards x 18 yards, 7 lanes, 3 feet - 12 feet depth, Indoors. Just in case you need to contact this Swimming Pool just before dropping by, we only know the phone number. 735 South Figueroa Street, Suite 100 , Central L.A. / Downtown , Los Angeles , CA , USA (Postal Code: 90017). Among all the activities offered by the center, for anybody who is interested in swimming you will appreciate 25 yards, 3 lanes, Indoors. If you should get in touch with this Swimming Pool, email address and phone number are both number. 22235 Sherman Way , Canoga Park , CA , USA (Postal Code: 91303). Among all the activities provided by the center, should you be considering swimming you will get pleasure from 30 yards x 30 feet, Indoors. Just in case you want to make contact with this Swimming Pool before dropping by, we only know the phone number. 15500 Stephen S. Wise Drive , Bel-Air , Los Angeles , CA , USA (Postal Code: 90077). Among all of the activities supplied by the center, if you're considering swimming you'll take pleasure in 25 yards, 6 lanes, Outdoors. Just in case you desire to make contact with this Pool before dropping by, we only know the phone number.